Zantrim is a diet pill brought to market by eBody. The company also markets a number of other supplements, but we were unable to find out much about eBody. The official website provides a mailing address for product returns but its marked “c/o James and James”. We did some checks and found out this is a company that specializes in importing products from India. Needless to say, this does not create a good first impression. The manner in which Zantrim is being marketed also fails to impress. It’s alleged to be the most effective supplement on the market. We know that’s far from being true. This site contains a list of the best supplements on the market and Zantrim is not destined to appear on it. The company is also promising a money back guarantee, but customers who try the product and find it is not for them will not be able to get their money back at all. 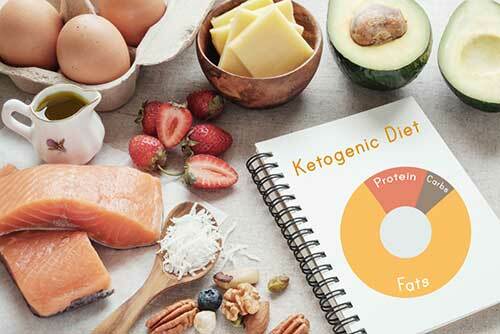 If the product can stop snacking and binging in the promised way it may help people using it to bring their daily calorie intake down to a level that is low enough to cause a need for body fat to be burned as a source of energy. If it can speed up the metabolism the body will start burning more calories per day, causing an increased need for fat burning. By providing fast stimulation, it should boost energy levels and this could help prevent diet-related fatigue. None of this is groundbreaking stuff. Many diet pills are designed to do these things and the best ones can do considerably more. Caffeine Anhydrous (200mg): An energy-providing stimulant with proven fat burning capabilities. Many diet pills contain caffeine but, in the majority of cases, the dose provided is not this high. Each capsule contains as much caffeine as two cups of coffee. Many people will be able to handle that okay, but those who cannot may experience side effects that could include nausea, headaches, or jitters. Kola Nut (175mg): Originally used as the main flavour-provider in Coca-Cola, kola nut is a potent source of caffeine. Does this formulation need any more caffeine? We think not. Green Coffee Extract (150mg): The chlorogenic acid present in green coffee beans is known to be a good thermogenic fat burner and the dose provided appears to be okay. However, although green coffee beans don’t contain as much caffeine as roasted coffee, they do contain it so, in this case, green coffee bean may be more trouble than it’s worth. Green Tea Extract (50mg): A proven fat burner that’s been added in an unusually low dose. On the one hand, that’s not good because its presence won’t provide much benefit. On the other hand, it may be a blessing because green tea contains a small quantity of caffeine and this formulation already has more than enough of that already. L-Carnitine L-Tartrate (50mg): An ingredient that appears to aid the conversion of fat to energy. D.L. 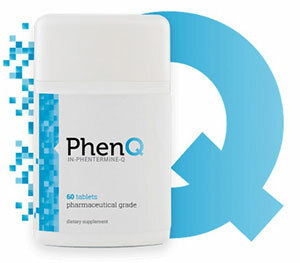 Phenylalanine (37.5mg): Some research suggests phenylalanine may have appetite suppressing capabilities, but further study is much to be desired. Conjugated Linoleic Acid (CLA) (5mg): Some clinical trials suggest CLA can support fat loss, but not in 5mg doses. CLA needs to be delivered in high doses and diet pills that provide 3200-6400mg CLA are not uncommon. Chromium Picolinate (13 µg): A good diet pill ingredient that’s being hindered by a low inclusion rate. When provided in an adequate quantity, chromium picolinate prevents the insulin surges that can cause blood sugar crashes and trigger cravings for high-calorie food. Most supplements provide around 10 times as much as the dose included here. Vitamin B6 (0.7mg), Vitamin B12 (1.20 µg): Two popular energy drink ingredients. Usage Guidelines – New users should begin with one capsule per day. If no tolerance issues are experienced, the dose can be increased to one capsule, taken twice per day, but a gap of six hours is suggested between doses. The capsules are best taken with water, on an empty stomach, at least half-an-hour before eating. No capsules should be taken within four hours of bedtime. Some customers appear to be happy with the way the product works. Others are not. Some customers report experiencing stomach issues including pain and feelings of nausea. Others complain the formulation gave them headaches and/or anxiety attacks. It seems likely that these side effects will have been caused by the formulation’s high caffeine content. However, whatever the root cause may or may not be, Zantrim has a history of causing side effects and it would be unwise to use the product without first obtaining a doctor’s advice. Zantrim is available to buy from the eBody website. The company also distributes it via eBay and Amazon. The sales page on the manufacturer’s website states there is a 14-day money back guarantee, but things are not what they seem. The returns page states customers have 14 days to return unopened products which must be “in immaculate condition” and further states “If you open any supplements we can not unfortunately take them back”. That’s not a guarantee. It’s a returns policy. Zantrim is a diet pill that contains several good ingredients that are included in insufficient doses and are unlikely to offer much benefit. It also delivers an overly high dose of caffeine that already appears to have proven to be too much for some customers to handle. Caffeine is good for providing extra energy and it has proven fat burning abilities, so the formulation will be able to do most of the things claimed. However, although some customers will have no problem tolerating so much caffeine, others will and any customer who feels too unwell to continue using the product will be unable to claim a refund. 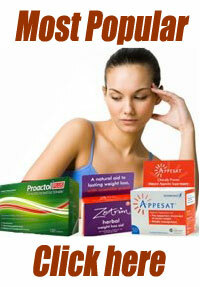 Zantrim does not compare well to any of the products on our list of approved diet pills and we cannot recommend its use. Premium Fat Burner is a diet pill brought to market by Havasu Nutrition and, although the name has somewhat of an Asian sound to it, the company is actually based in Tampa Florida and all their products are produced in FDA approved facilities located in the USA. According to the company website, Havasu Nutrition is committed to delivering better nutritional results by using natural remedies and is busy delivering on its mission to help people to live longer and healthier lives. That all sounds admirable enough, but the company still has a long way to go before it becomes a major player in the health and wellness supplement industry. 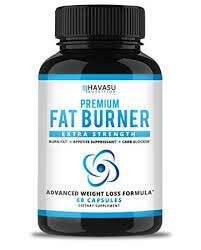 We’d never even heard the name Havasu Nutrition until someone contacted us and asked for a Premium Fat Burner diet pill review. What Is Premium Fat Burner and How Does It Work? The amount of information provided on the official sales page is so brief it’s stingy—two sentences and a bullet-point list. However, Premium Fat Burner is apparently designed to help people fight back against weight gain and a sluggish metabolism by fuelling the body with the highest quality ingredients. Looking at the claims being made, what we’ve got here is a diet pill designed to boost the metabolism sufficiently to cause the body to burn calories faster, while also restricting calorie intake. 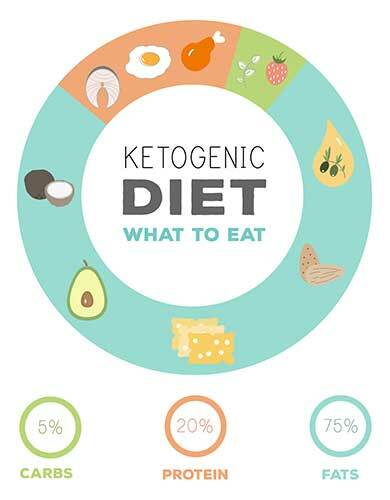 This is achieved by supporting people in their quest to eat less food and by limiting the amount of calories that are absorbed from any (carbohydrate-providing) food that is consumed. If it can enhance energy in the promised way, use of the product should also offer protection from diet-related fatigue. Vitamin B6 (10mg): Vitamin B6 helps the body extract energy from food. It’s often added to diet pills and energy drinks but is normally paired with Vitamin B12. Garcinia Cambogia (60% HCA) (300mg): The hydroxycitric acid provided by this tropical fruit has the ability to suppress hunger and prevent the body from turning excess carb-provided calories into fat. Experts say the HCA content must be 60% or higher and, in this case, everything is looking good. White Kidney Beans (4:1 Extract) (200mg): An ingredient that has the ability to reduce carbohydrate absorption by suppressing the enzyme (amylase) responsible for digesting it. A hefty dose is normally required, so we thought 200mg would be too low. However, closer inspection reveals Havasu Nutrition are using a 4:1 concentrate that packs four times the normal power. That means the dose provided is more respectable than it seems. CLA Complex (25mg): CLA (conjugated linoleic acid) is normally obtained from safflower oil. It’s a fatty acid that is often added to diet pills and bodybuilding formulations because there is a certain amount of evidence to suggest CLA boosts fat burning capabilities while also helping to maintain lean muscle mass. The doses involved are often much higher that amount included here. Many CLA-providing supplements provide more than one gram per pill. Apple Cider Vinegar (20mg): Known to be favoured by the singer Katy Perry, apple cider vinegar is often credited with carb blocking capabilities and is alleged to provide numerous other health benefits as well. Green Tea Leaf Extract (20mg): A proven fat fighter that encourages thermogenesis and fat oxidation. Green tea is one of the best safe weight loss providers in the world. The problem is, the amount provided here is so low it’s unlikely to provide the Premium Fat Burner formulation with anything other than bragging rights. Coral Calcium (10mg): We don’t see this one a lot. It’s not a popular ingredient. This may be due to the fact that, although many health claims are made for coral calcium, and it’s alleged to boost energy, there are health and environmental concerns regarding the harvesting and use of the ingredient. Coral reefs take millennia to grow. Destroying them to make supplements is not responsible behaviour. There are also fears that coral calcium may be contaminated with high amounts of lead and mercury. Usage Instructions – Two capsules are required each day and should be taken with a meal. No other instructions are provided. Some customers claim the product provided the results they expected. Others say it did not. The most commonly reported side effect appears to be nausea, but other side effects customers claim to have endured include diarrhoea, abdominal pain, headaches, and heartburn. The fact that side effects have been reported is not confidence building and we suggest all potential users of this product get a doctor’s approval prior to taking any pills. Customers living in the USA can buy Premium Fat Burner directly from the manufacturer’s website or from Amazon.com and shipping is free. Customers located elsewhere in the world won’t be able to buy it at all because Havasu Nutrition don’t market their products on an international level. Premium Fat Burner has a 60-day money back guarantee. Were not keen on supplements that contain coral calcium. Its use seems wrong to us from an ecological point of view and the potential for contamination is also a concern. There are better options available and we are not surprised the ingredient is rarely used. We also wonder if its presence may be the cause of the side effects some users claim to have experienced. The other ingredients are essentially good, but in some cases, the inclusion rate could be too low. Some customers claim the product worked for them, and that’s good, but there are also plenty of people who say it’s a fail. All in all, Premium Fat Burner does not compare well to some of the other options available. WoohSlim Diet Pills Review - Real or Fake?